Daniel B. Silver, Francisco Police Department is currently assigned to Company G and conducts investigations into gang related crimes. Daniel B. 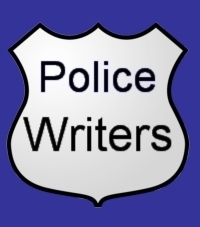 Silver is the author of Cop: A Novel. On August 13 the council selected Malachi Fallon as San Francisco's first Captain (Chief) of Police. Fallon in turn appointed a deputy captain, three sergeants and 30 officers to comprise the first regular municipal police department in American San Francisco. Today, the San Francisco Police Department is a large metropolitan police department which is organized into four bureaus: Administration, Field Operations, Investigations and Airport. The Administration Bureau provides support for the other bureaus of the San Francisco Police Department and is frequently the liaison with other city agencies as well as the Board of Supervisors. The Administration Bureau of the San Francisco Police Department has a number of units and divisions: Behavioral Science Unit, Staff Services Division, Fiscal Division, Support Services Division, Planning Division, Technology Division, Risk Management, and the Training and Education Division. The Field Operations Bureau contains the Headquarters, fugitive Recovery Enforcement Team, Metro Division, Golden Gate Division, Homeland Security Unit, Community Oriented Policing and Problem Solving and Traffic Company. The Investigative Bureau is organized into five divisions by crime or specialty: Forensic Services, Property Crimes, Personal Crimes, Juvenile and Family Services and Narcotics and Vice.